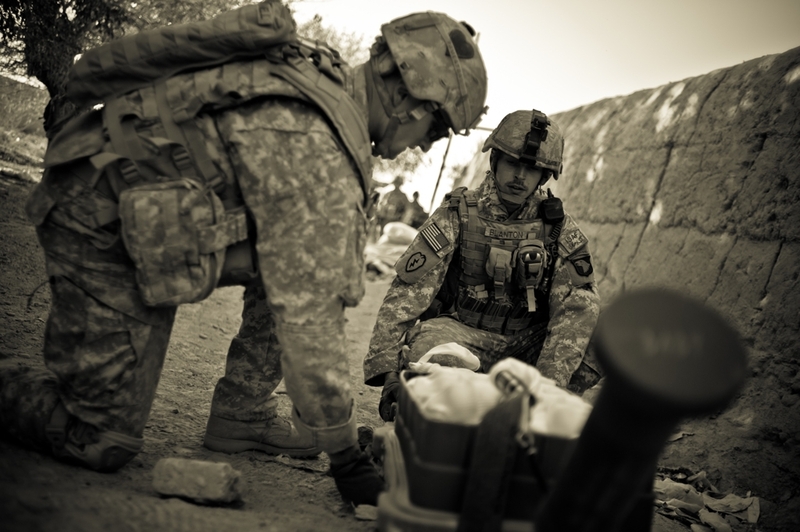 Improvised explosive devices, or IEDs, have claimed the lives of more U.S. troops in Iraq and Afghanistan than any other weapon. Although the military has responded by building heavier vehicles to withstand the blasts, this does nothing to help soldiers who spend their days traveling on foot. But troops in the vicinity of the Arghandab River have been cheering their newly-fielded APOBS, or anti-personnel obstacle breaching system. Although the technology has been in use for decades, this fall infantry soldiers in Kandahar Province have been issued the self-contained mine clearing charges in large numbers for the first time. 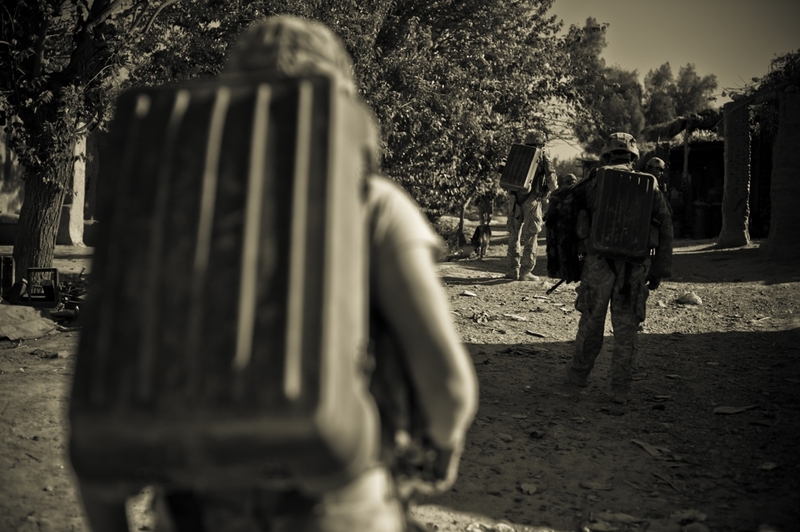 The APOBS is a veritable force of nature that must be carried by two soldiers. Usually engineers carry the system, which consists of two backpacks each weighing about 65 pounds plus a ten-pound rocket. The rocket flies about 100 meters when launched, towing a 45 meter-long tube sock stuffed with hand grenades. When it explodes, it sets off any IEDs in the immediate vicinity and clears a dimpled path that troops can safely walk down. It is a smaller version of the MICLIC, in use since 1988, which is towed behind a large truck and clears a path wide enough for tanks to drive through. The APOBS are expensive and first sergeants compete with each other to get more for their troops. When a helicopter delivered six new APOBS to soldiers tasked with clearing Talukan, in the Horn of Panjwai, they broke out in ear to ear grins as they prepared the packs for the next day's mission. I set up my video camera to record each of the APOBSs firing, and seven detonations later, my camera's housing is riddled with shrapnel.